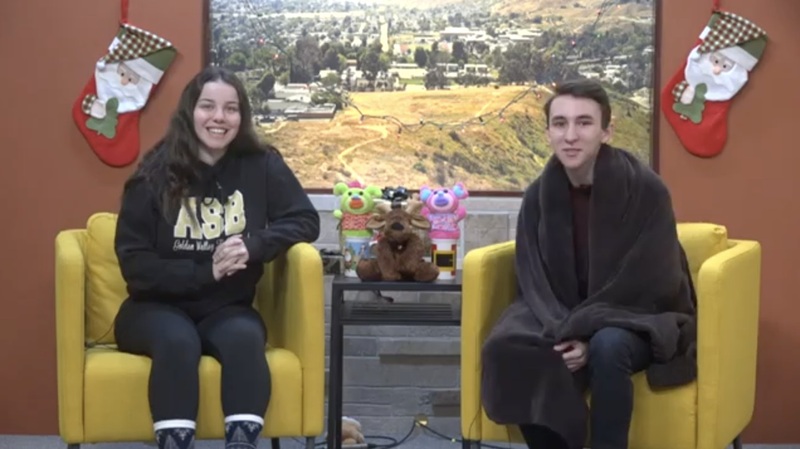 SCVTV.com | Golden Valley High School: Golden Valley TV, 12-14-18 | Candy Canes Yay Or Nay? Golden Valley High School | Golden Valley TV, 12-14-18 | Candy Canes Yay Or Nay? On Today’s Show: Entertainment, Soccer and Candy Canes Yay Or Nay? No Comments for Golden Valley High School: Golden Valley TV, 12-14-18 | Candy Canes Yay Or Nay?